The Pope had some uncompromising words for dissenters in a recent Vatican address. Pope Benedict XVI delivered an address from the Vatican on Sunday in which he suggested that those who disagree with Catholic teachings or do not believe in Jesus Christ should leave the church rather than become betrayers like Judas. The leader of the Worldwide Roman Catholic Church added that Judas’ most serious crime was falsehood, which the pope described as “the mark of the devil.” He added that Catholics needed to always be sincere like St. Peter and believe in Jesus. LifeSiteNews reported that Monsignor Ignacio Barreiro, the Human Life International Rome Director, confirmed that the pope’s comments are very much related to the Catholic Church’s formal teachings in support of traditional marriage and pro-life views. “For those Catholics who cannot bring themselves to believe the formal teachings of the Church on life and family matters it would be more honest to leave the Church rather than betraying Her,” Barreiro said. “We regret very much that the person is so inclined and we wish they would have a conversion to truly believe,” he added. Catholic organizations in the U.S. has been battling policy changes by President Barack Obama that require religious institutions to provide contraceptives in their employees’ insurance coverage, which goes against church teachings. Also, a host of countries around the world have been struggling over the issue of gay marriage – most recently, the Scottish Catholic Church has been urgently calling for support as their country prepares to become the first U.K. nation and one of the only ones in the world to legalize homosexual marriage. The forest department had accused the duo of violating the wildlife act. A Catholic priest and a nun, who have been jailed for killing crane chicks, Wednesday received bail from the High Court of Uttarakhand, a northern Indian state. Since the two had acted on a good intention, the lower court should have resolved the matter without bringing it up to the High Court, the judge said while granting bail to Fr. Simon D’Cunha and Sr. Deena. The police arrested them on August 8 for killing more than 250 crane chicks while trimming a tree a school compound. The priest is the manager of Prabhat Tara Junior School in Pachuakhera, a town in Uttarakhand. Sr. Deena, a member of Queens of the Apostles congregation, is the principal. Fr. D’Cunha, a priest of Bareilly diocese, got the tree pruned because bird droppings from its branches were contaminating the school’s water tank. However, the forest department accused them of violating the wildlife act. He told ucanews.com that the diocese expected the two to be released from the jail today. Father D’Souza said the High Court also noted that the case was not criminal since the priest and the nun had not intentionally killed the chicks. “The safety of the students is more important. Birds contaminating the water is a serious threat to the students,” the priest quoted the judge as saying. The judge described as regrettable to punish the nun, who is 57 and sick. Sr. Deena had to be admitted in a hospital after she fell in the jail. The two spent 22 days in a sub jail in Haldwani, another town in the state. Earlier on August 17, the district court had denied bail to them on the ground that their act was “inhuman and anti-environmental” and done deliberately to kill the chicks. Mother Teresa inspires ex-convict to help others. Hiroshi Igarashi’s path to the Church began in prison, where he was introduced to Christianity—and, especially, to Mother Teresa of Calcutta. He has harbored a deep respect for? that holy woman ever since, and these days makes room on the wall of his ?small Tokyo apartment for pictures of her. Some of the pictures previously hung in his prison cell. Normally,?that wouldn’t have been allowed, but Igarashi appealed to the prison? administrators on that point and finally obtained permission. Now that he is a free man again, Igarashi has started a group in Tokyo called “Mother House.” It is dedicated to helping those in prison turn their lives around and re-enter? society when their term is up. In addition to taking its name from Mother? 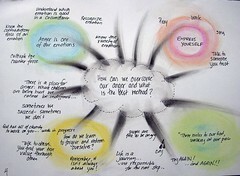 Teresa, the group also bases its activities on her mentality and on the? Bible. With three criminal counts and nearly 20 years in prison on his ?record, Igarashi knows the reality and all the problems of life behind bars. Igarashi speaks from his experience as he too gave up on himself at one point. When he was jailed for a third time, his family cut off all ties with? him. He was contemplating suicide, but just then a cheerful? Japanese Brazilian was detained by the police. The man prayed often and? talked to Igarashi about the Bible. That became his moment of conversion. He prayed with all his heart, crying ?aloud, “I’m sorry!” He realized that when Jesus died on the cross, he was ?taking Igarashi’s own place there, and he sobbed uncontrollably. A? corrections officer, thinking him at the point of suicide, did everything he ?could to console the desolate man. Igarashi’s introduction to Mother Teresa also came in prison, from? a book he ran across by chance. He was immediately convinced that ?“this person is the real thing” and wanted to go and learn from her; only ?later would he discover that she had already died. Fortunately, he ?did have a chance to meet with some members of the religious society she founded, the Missionaries of Charity. He met with many others from the Church before his sentence was up, ?including bishops, priests, and religious sisters. The late Cardinal Seiichi? S. hirayanagi offered him a correspondence course introducing him to the? Catholic faith. A Protestant lawyer took it upon himself to act as Igarashi’s ?guarantor. On his release, Igarashi set about turning his belief into practical action with the Mother House, which held its inaugural meeting last month.? Archbishop Takeo Okada expressed his support with a personal message. These days, Igarashi’s phone starts ringing early in the morning with inquiries about the Mother House and ?it doesn’t let up all day. He gives the work all he has, striving to? 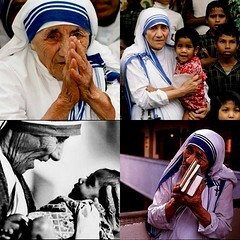 imitate Mother Teresa’s way of love. Various religious leaders condemned the violence against northeast people. A Catholic bishop has termed attacks on northeast people and the resulting exodus in Pune as absurd and against the spirit of religions. Bishop Thomas Dabre of Poona was speaking at an inter-religious meet organized by a Hindu NGO, Vasudhaiva Kutumbakam (the world is one family), at St Anne’s School in the city on August 25. “Revenge and retaliation will create more unrest but forgiveness and love will heal the wounds,” the prelate said. People today do not have enough love and the spirit of forgiveness which can bring the strife-stricken people of different faiths together, he added. The death toll in the ongoing ethnic clashes in four districts of Assam has reached 88. As a fallout to these clashes, northeast people living in other parts of the country were attacked, resulting in mass exodus in Bangalore, Pune and Hyderabad. Ashgar Ali Engineer, a Muslim leader, said no religion can be violent. “All religions preach the same path of love and peace and unless one practices true religion, one cannot bring about peace and reconciliation,” he said. Surjeet Kaur Chahal, a Sikh leader, said intolerance of other faiths sows the seeds of violence. While sifting through our files, we came across the first issue of VOICEMAIL, which made us nostalgic and emotional. We thought of sharing it with our readers, who have now reached a phenomenal figure of nearing 16000 hits, on the blog, within a short span of ten months, from the inception of SILENT VOICE. Besides, recipients through E Mails have also grown from a meager below hundred to a thousand, which include sizable numbers of Clergy. The first VOICEMAIL should give an idea, how it all began. It was then, under the masthead of VOICE OF A SILENT MAJORITY, which is now being used to write letters to H. E. Cardinal Oswald Gracias, Archbishop of Bombay. We had addressed Clergy through a letter, which also has been attached below. It is our perception, similar to yours, that priests are Shepherds of the flock, who are supposed to guide, guard and lead their flock on the road devised by OUR LORD JESUS CHRIST. We are sure, you will continue to support the cause and participate in our efforts to cleanse our MOTHER CHURCH, of corrupt elements. A/7, Rodrigues Compound, Malwani Village, Malad(W), Mumbai,400095. Contact no. 98707 19628. This is in connection with the book titled “VOICE OF A SILENT MAJORITY.” This was distributed amongst you. We must thank you for accepting it in true spirit. Though the book is a parish specific, similar incidents do happen in most parishes within archdiocese. 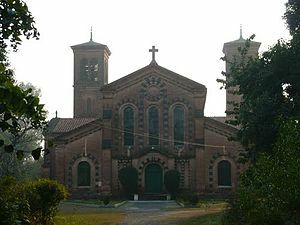 St. Michael’s, Mahim and lady of Vailankanni, Irla; are the examples. Your initiative, most of you, to distribute the book in your vicinity indicates how disturbed you feel over such matters. We have been receiving inquiries about the next issue. Dear friends, let us be honest. This is not a commercial venture. It has been born out of ‘WE DON’T CARE’ attitude of parish/church authorities towards the grievances/complaints. IT is just a step more than what many of you must have done. Writing to bishops and Cardinal on various matters related, to parish properties and finances in particular. Some of you even made representation to HIS EMINENCE THE CARDINAL; recently, we were given to understand. The church authorities maintain a studied silence, so that the matters could die a natural death. Our attempt to bring things to public attention by way of this book has woken them up. A veiled attempt is made to condemn the book and to question our catholic faith. (Editor’s note, in the Examiner of 3rd of July 2010). Our reply to it has not been carried till date. However, we shall bring it to you at a later date. We have been receiving feedback, though in trickles, both orally as well as through E mails. One such information is about the encroachment on piece of land belonging to St. Anthony’s church trust, Malwani. The matter HAS BEEN BROUGHT to the notice of the parish priest as well as the archbishop and the zonal bishop. Attaching copies herewith. Friends, it is difficult to accede to the request for the next issue for the reasons you surely understand. Meanwhile, we shall feed you through E-mails, with a humble request to forward it to Catholics, whom you think should know about it. If possible create paper copies for the masses that do not enjoy benefit of Internet. The other side of the coin also must be visible; unfortunately, the darker one, to us Catholics. The one that is never preached from the sacred pulpit nor does it find space in any community newsletter. We then leave it to their wisdom. The Catholics are wise and prudent enough to judge for themselves. Does seeking transparency in church administration means breaching our catholic faith? Does anyone seeking truth from church administration means he is an anti Christ? Is questioning corrupt practices of church administration, a crime? If it is NO, then please wake up, and VOICE your concerns over the matters that you don’t approve of. CORRUPT PRACTICES AT PARISH LEVEL. This is a clergy special release of VOICEMAIL001/2010. Which was released to lay Catholics, earlier? It is an E copy of newsletter, “VOICE OF A SILENT MAJORITY”. We regret, the copies could not be sent to all due to logistical problems. E copies will be released to you after a week or so from time it is released to the lay people. You are considered very much part of the catholic community; In fact you are the shepherds of the flock. Therefore, have every right to look at the other side of the coin. The unpleasant one! We assume, you are not unaware of it. And, we Catholics do believe that you are aware, but remain silent, for a good reason, perhaps. Our effort has been to highlight the unacceptable activities of some amongst you, who are giving a bad name to entire community of priests. The perception of people about priesthood at present is that of PROFESSION and not VOCATION, because of their wrong doings and attitude. Is this acceptable to you? We don’t consider ourselves experts in philosophy, but are giving example of an egg. When struck from inside, it creates life. We are sure; you are wise enough to understand what it means. please call for and it will be provided. PS 🙂 Please forward this mail to your assistants also. Because this is being sent on your Parish addresses. They too have a right to see other side of the coin. It is true that there have been allegations of wrongdoings by the clergy and a feeling of apparent inaction by church authorities to take corrective measures. The fact of the matter is that whenever legitimate grievances have been proved, effective remedial steps in the form of reprimand, transfers and even removal from office of the guilty have been taken according to the gravity of the offense. The policy adopted by the Archdiocese of Bombay is zero tolerance for corruption. Even Vigilance Cell has been announced by the Cardinal. If there are some complaints persisting, it has been because of conclusive evidence, misconstrued perception or because of unfounded rumors. At times, inquiry has revealed that allegations have been exaggerated by a few who have vested interests. It is only in true spirit of Christian dialogue, justice and fair play, that we can resolve major faults and failings. We are grateful to our Community for manifesting solidarity, support and sympathy. LETTER TO EXAMINER, IN RESPONSE TO EDITOR’S NOTE: NOT PUBLISHED. This is with reference to the “Editor’s Note”, in the letters section of the issue of July 03, 2010. We believe, it is in the context of a book being circulated by us among the Catholics of the Archdiocese. We hope, you will be neutral and carry this rejoinder in your forthcoming issue. The book titled, VOICE OF A SILENT MAJORITY,. Contains the letters we have been writing to Bishops for over a year and half, about undesirable activities of parish authorities at a parish. Unfortunately, there was no response. We therefore, decided to bring the correspondence into public domain, in the form of this book. We leave it to our readers to judge us, Right or Wrong. We fully agree that Archdiocese of Bombay has zero tolerance policy on corruption and does take action, where necessary. But due to lack of transparency, the rumors continue, changing dimensions from ear to ear. “VESTED INTEREST”, A phrase commonly used to condemn the people who speak the truth in political circles by their opponents, who can’t digest the truth. The use of this phrase has prompted this response. We appeal to your readers. Do not question anybody’s faith just because one questions your actions. The weak minded then become easy prey to poachers from other sects. As for us, we call ourselves Catholics and we are proud of being Catholics. Apropos, the Editor’s note in letters section of the Examiner, (July 03, 2010). The Editor also being spokesperson of Archdiocese, we address this to you. We have sent our reply to Editor’s note for publishing, which hasn’t appeared till date. Copy of the same is enclosed herewith. We understand editor’s discretion, but we expected him to be neutral and carry our views to the readers as well. Your Eminence, the note speaks of vested interest of persons persisting with complaints. We are sure; this statement is based on inputs provided by the parish priest, Fr. Ajit Bandekar. We have been pursuing these matters for over two years with parish/church authorities with no response. But never once the question of our vested interest was brought forth. As soon as the matters are brought into public domain in form of the book, the parish priest has started seeing our vested interest. The concerned parishioners of St. Anthony’s Church, Malwani, seeing that properties belonging to parish are ignored and left unattended, open for encroachers, and raise questions with no response from Fr. Ajit Bandekar. Whose vested interest is it? The parish priest manipulated bidding process to benefit the favored one, causing financial loss to parish exchequer. Whose vested interest is it? Paying huge amounts to the favored one, ignoring the free offer for the same services, assigning no plausible reason, causing loss to parish exchequer. Whose vested interest is it? Your Eminence, the Catholics are always thought that Lord Jesus Christ is the shepherd and we are his flock. But it doesn’t seem anymore. Now the priest is a Master, who behaves like one. And the followers are slaves. The slaves cant question master’s wrong doing. If he does, his catholic faith is questioned. Your Eminence, we ask. Why are church authorities averse to transparency? Is it because transparency reveals the truth? And the truth can also be different from what is preached from the sacred pulpit? It keeps the dead afloat, but drowns the one alive. Strange is Metabolism of people of god. They digest anything, even the indigestible; But, not the truth. Coming back to our reply, to editor’s note, Your Eminence, there is an ancient proverb in Marathi, which goes thus. We shall take our reply to the people. We conclude with affirmation that we are Catholics and don’t question our faith. Our efforts are to help you weed out corrupt practices and cleanse the system.